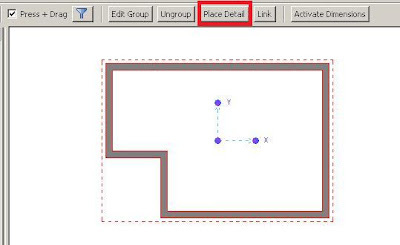 If you select model objects and any 2D elements (eg lines, text, tags, symbols or detail components) and click the group button you will be asked for the following information. 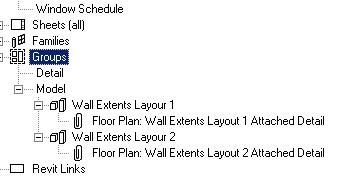 Revit has split out the model elements from the detail elements. Name the model group in accordance with your office standards. The Attached Detail Group similarly. Have a look in your project browser. 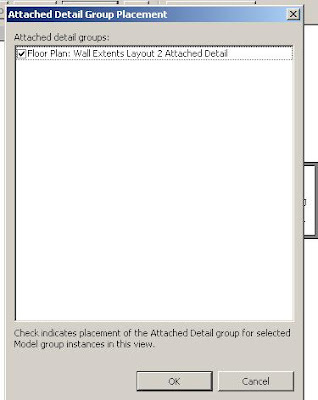 Notice how the Attached Detail Group is stored under the model group and not under detail groups. Now place the model group you have created and following that, select it. Look in the options bar. You will see the button “Place Detail”. Press it and you will be asked which attached detail group you want to place. Tick the appropriate group and click ok. The detail group will now be inserted. 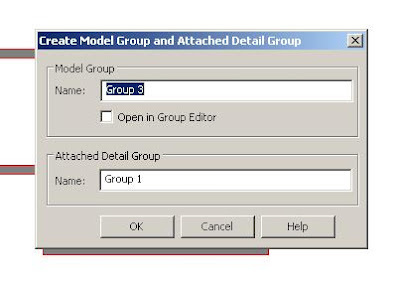 While you experiment with groups have a look at the link options for model groups (select the group and look at the options bar) and also when in model group edit mode how you can attach an existing detail group to a model group.